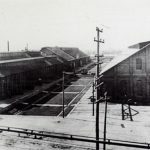 Pacific Electric built eight “bobber” single-truck cabooses at the Torrance Shops in 1921. Number 1957 was captured here in 1937. What color was caboose # 1957 painted? This regards the color this caboose was painted. I grew up near the PE Santa Monica Air Line between 1940 and the late 1950’s and saw many, many PE freight trains with cabooses. Every PE caboose I ever saw was painted the standard SP box car red (some call it mineral red and others call it metallic red). 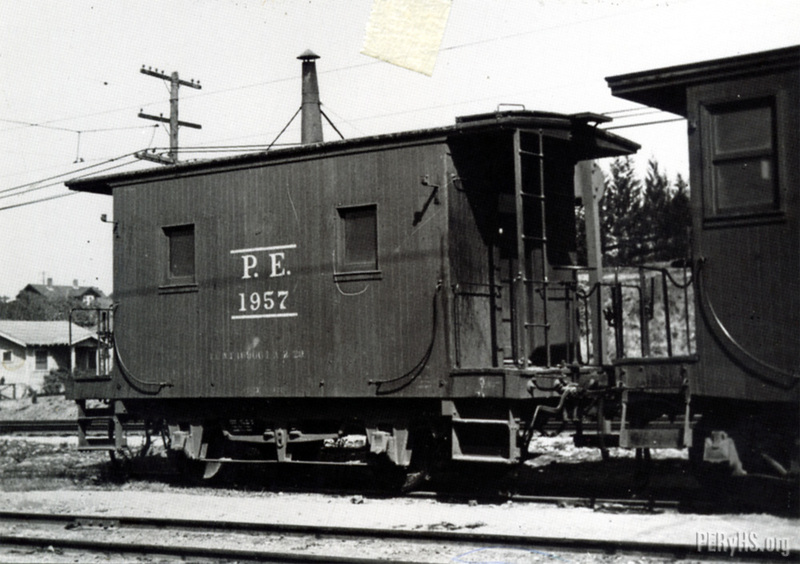 The two Pacific Electric books by P. Allen Copeland (Morning Sun) have quite a few color photos with PE cabooses in them, all the same boxcar red color. While I have not seen the bobber caboose myself nor have I seen a color photo of the bobber caboose, it is logical to assume it was painted in the standard PE caboose color.